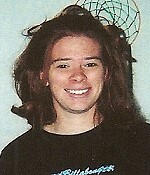 The 2007 unsolved homicide of Carrie Hicks. Carrie Hicks, age 25, was found dead on a couch in the home of Wayne Ring located at 146 Beryl Mountain Road in Acworth, NH on February 24, 2007. Carrie died as a result of two gun shot wounds to the left temple. The medical examiner determine that Carrie's manner of death was homicide. When the police responded to the home, Mr. Ring also had a single gunshot wound to the head but he did not die from the wound.